Studio Carry On Harry : Studio Guest Daniel joined us all the way from LA to tell amazing things about Quantum Healing and Holistic Living. In a Q & A Session with show host Harry Johal many new things were talked and discussed for show listeners which otherwise would have just been heard from some source but not from an expert and spiritual person like Daniel. DANIEL THE HEALER is an Energy Healing Practitioner, Body Whisperer, Psychic Energy “Chiropractor,” and Spiritual Counselor who heals with Love. It all started when he experienced hypnosis to enhance learning and comprehension, and then passed his private pilot’s exam with a 97! He was so impressed he immediately became a certified hypnotist. He soon got the opportunity to use his new skills on his wife who had various health issues. The successes intrigued him and he began learning more and more. Along the way, he studied and became certified in Hypnosis, the MariEl Healing Method, Radionics, Magnified Healing, and the Circles of Life System. 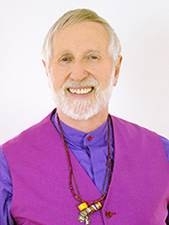 He has studied with Lazaris (lazaris.com), trained in Dimensional Mastery with Starr Fuentes (starrfuentes.com), learned with Kam Yuen (Yuen Energetics,) Gary Douglas (Access Consciousness,) the Russian medical intuitive Dr. Gregory Antyuhin, and the famous healer/dowser Harold McCoy. Besides being a Certified Quantum Touch Practitioner, Daniel has also mastered Psychic Surgery and Medical Intuition and integrated that into his practice. He helps you with healing old pain, trauma and hurt and letting you find peace, forgiveness and happiness in your life. When you choose to work with Daniel, most often the experience of healing starts with the amazing “Life Essence Reading.” This is something he developed himself. In it, Daniel scans you for over 55 criteria in your energy field and then will report back to you. You may have a persistent and otherwise unresponsive condition that comes from dark sources, such as spells, curses, heavy burdens, armoring/blocking, and psychic attack.